LZ SPORT PRO is a volleyball agency owned by Georges “Djordje” Matijasevic. Georges is a certified agent by the French Volleyball Federation (licence number n° 001-2012) and lives between Paris and Belgrade. LZ SPORT PRO represents clients from about 15 national teams: France, Serbia, USA, Canada, Netherlands, Bulgaria, Brazil, Puerto Rico, Spain, Finland, Estonia, Latvia ... We are a global agency, representing players in 24 leagues worldwide. We are dedicated to traveling 12 months a year in order to meet our clients wherever they play. Thanks to our relationships with clubs and partners worldwide, our clients are able to rapidly move from one continent to the other and adapt fast to the changing economics of volleyball. In today’s volleyball market, players need representation that is present in Europe, Middle East, Asia, and South America, a representation that understands the realities of each local market. We are very proud to be able to deliver this kind of representation for our clients! Georges “Djordje” Matijasevic is an MBA graduate from Auburn University in the USA. He played volleyball in juniors but mostly was a college and a professional tennis player. Georges developed LZ Sport Pro in 2003 and started the business by making deals for volleyball players in the French league. Very fast, clients noticed Georges’ work and started recommending it to other players. 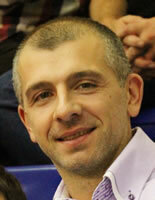 Georges is a licensed agent by FIVB and French Volleyball Federation and lives in Paris. Today LZ Sport Pro is representing national team players from 15 countries and is a leading agency in the world of volleyball with clients playing in Russia, Turkey, Poland, Italy, Brazil, France, China. 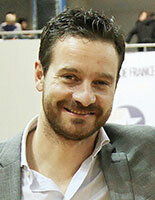 Rajko Jokanovic completed his Master’s degree in Sports Management in Serbia. He played professionally as a setter for more than 20 years in Serbia, Germany and France. Rajko has over 200 selections for the national team of Yugoslavia and later Serbia & Montenegro. He won many medals: Olympic Games Bronze Medal in 1996, Gold Medal European championships 2001. His rich experience as a player and his knowledge of the world of volleyball are assets that benefit clients on a daily basis.